Contents. List of Contributors. Preface (E.E. Bittar and N. Bittar). Sexual Differentiation of the Brain (R.A. Gorski). Hypophyseal-Gonadal Relationships in the Male (M.P. Hedger). Hypophyseal-Ovarian Relationships (J. Mroueh and D.R. Danforth). The Biology of the Ovary (C. Racowsky and T.J. Gelety). Biology of Human Fertilization: Sperm-Egg Interactions and Early Development (A.M. Ginsberg and J. Dean). Uterine Environment During the Implantation of the Embryo (I. Damjanov, B. Horvat, and B.A. Fenderson). The Pineal Gland, Melatonin, and Reproduction (R.J. Reiter). The Endocrinology of Pregnancy (R. Smith and M. McLean). The Endocrinology of Late Pregnancy and Parturition (T. Zakar and B.F. Mitchell). Maternal Adaptation to Pregnancy (W.A.W. Walters). Amniotic Dynamics (R.A. Brace and M.G. Ross). Ultrasound in Perinatal Medicine (C. Siles). Placental Toxicology (B.V.R. Sastry). Preeclampsia and Eclampsia (D.S. Seidman). The Premenstrual Syndrome (T.G. Dinan and V. O'Keane). How RU 486 Works (M. Kalimi). Infertility (H.G. Burger). Index. We have now reached the mid-point of our editorial task of putting together the compendium, Principles of Medical Biology, which is supposed to be composed of twenty-five modules. 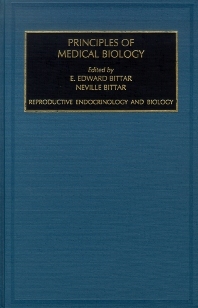 The present single-volume module on reproductive endocrinology and biology is in more than one respect a continuation of Module 10 (in two volumes) dealing with molecular and cellular endocrinology. In addition, it intersects, as it should, with various parts of obstetrics and gynaecology, both of which are abetted by technology. One has only to recall that the practical benefits of ultrasound in perinatal medicine and in vitro fertilisation are the outcome of the technological revolution in biomedicine. Whether we are approaching a new era in reproductive biology following the invention of animal cloning is still hard to tell. For some people, it remains an article of faith that cloning of the human being is highly probable. For others, asexual reproduction is anathema. It should surely be obvious to us all that somatic cell nuclear transfer technology (SCNTT) is going to be at its strongest in dealing with husbandry. Whether this and several social forces will alter our modern outlook, there can be little doubt. As in diverse clinical and basic research, so in obstetrics, animals are used as a model. The data thus obtained is extrapolated, if valid, to the mother and foetus. The success of this approach is exemplified in studies carried out on sheep as a model. On the whole, it is also quite apparent that progress in the field of reproductive biology is to a large extent ascribable to the discovery in other disciplines of new hormones, as well as the introduction of new tools and recent improvements in laboratory methods including measurement of hormones.